The Kitstart strapping starter kit with notch sealer is a fantastic kit for those looking for a complete set of strapping tools. 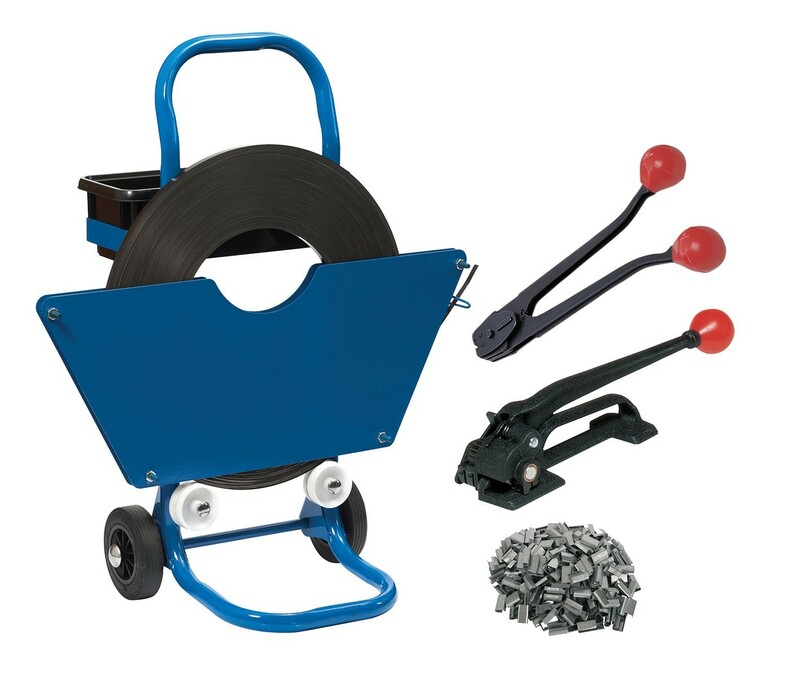 The starter kit features a variety of tools including 1 coil of 19mm ribbon wound steel strapping, a mobile dispenser, steel strapping sealer, steel strapping tensioner and 2000 snap on seals measuring 19mm. All of the products included in the set are made out of high quality materials ensuring that they are strong, robust and dependable.